Canadian cultivar with rich pink flowers on mildew-resistant foliage. Requires consistent moisture. Spreads to form large clumps quickly. 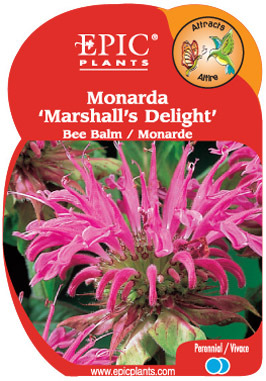 Attracts hummingbirds, butterflies and bees.